blog.HalloweenAdventure.com | Latest News from the Costumes Trend FrontLines! : Watchmen! We've heard rave reviews about the new superhero movie Watchmen. 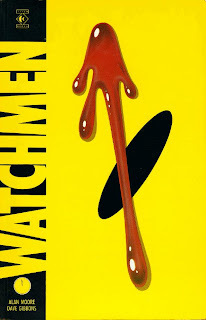 Based on the only graphic novel to ever grab a spot on the NYTimes Bestseller List, Watchmen was a literary tour-de-force, and now it's hit the big screen. Check out an extended trailer here, and visit the movie's official site for more info. It got us in the mood for some superhero costumes. We've always been big fans of Superman, but who knows - maybe Watchmen will bring us some new heroes come Halloween! Check out our favorite superhero costumes here, and head over to Fandango to pick up your Watchmen tickets!